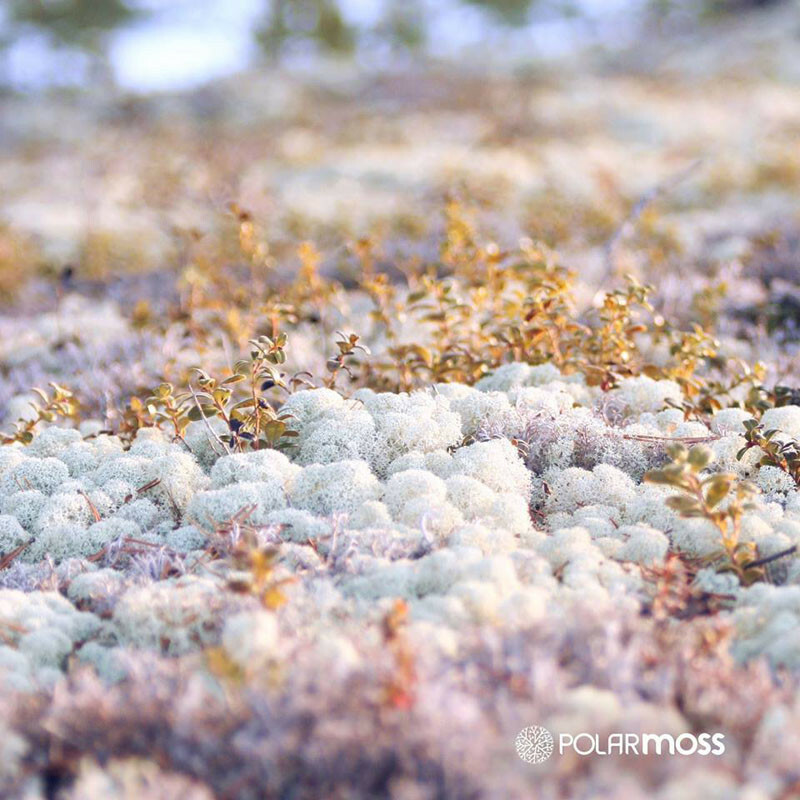 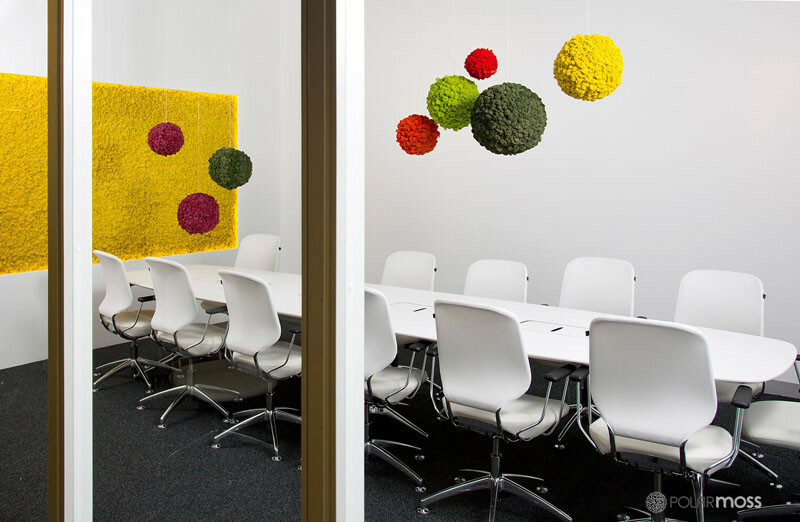 A Finnish company named Polarmoss, have made it possible to include reindeer moss in your home or office. 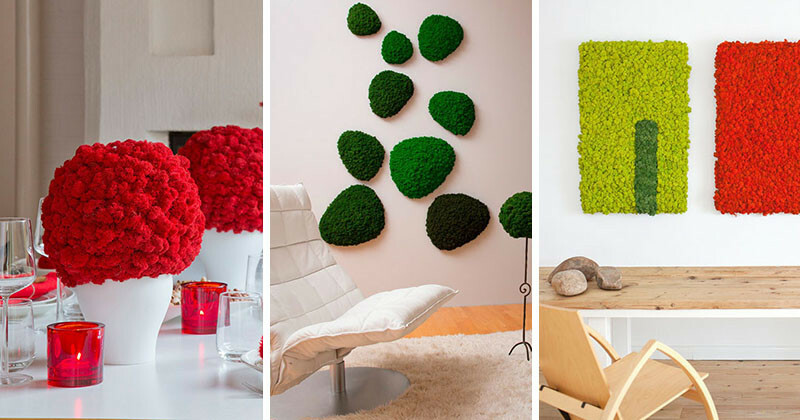 They take the naturally growing moss and dry it out, then they turn it into a material that is used for interior decor. 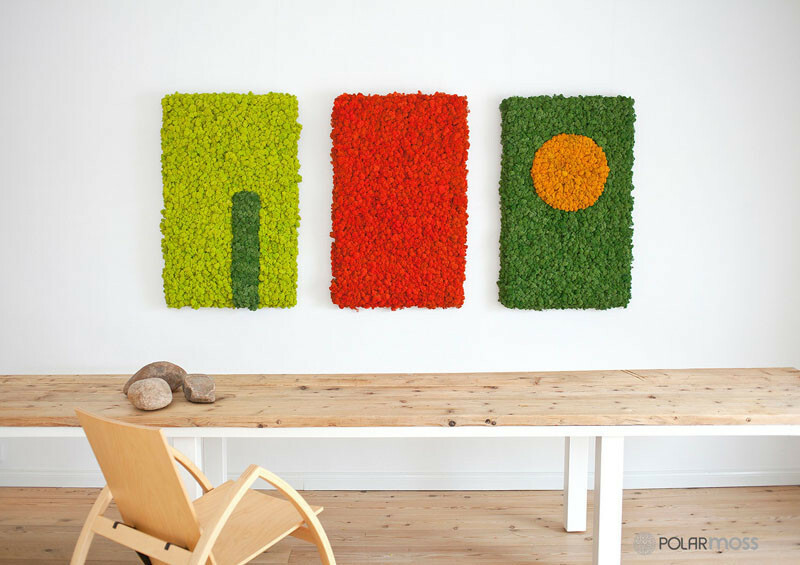 The moss does not need any maintenance and is flame-retardant. 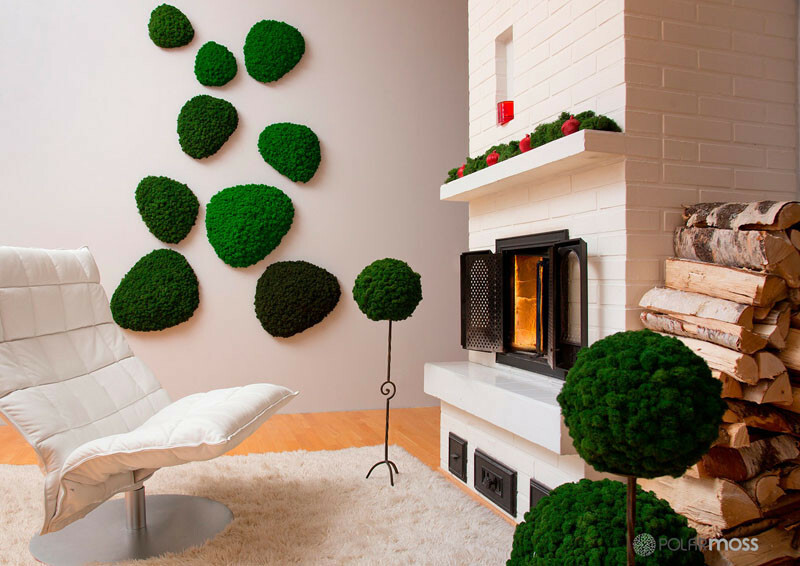 They have a few different design options, like these ‘Islands’ that have the moss attached to a cork base. 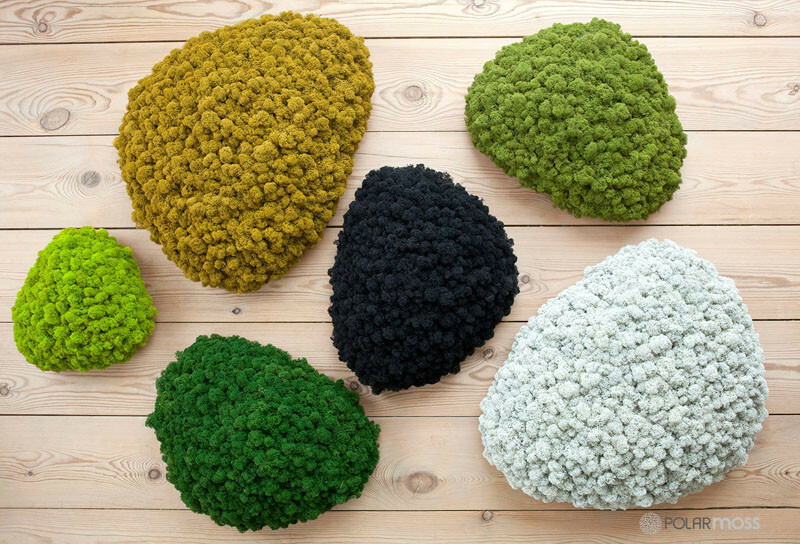 They’re also able to dye the moss in a variety of colors, making it possible to do different designs and patterns. 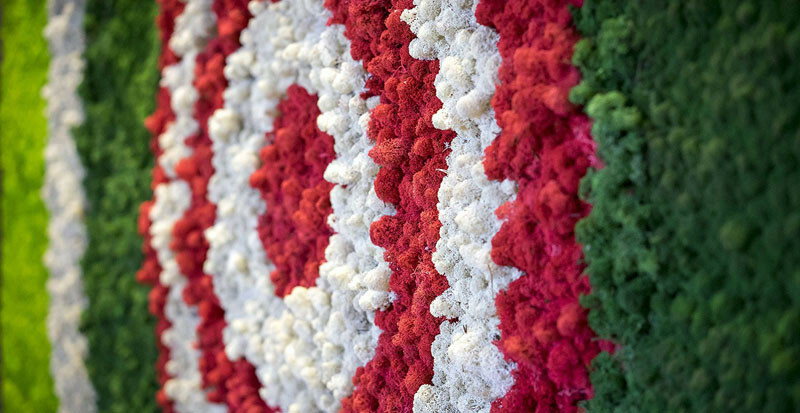 Here’s a close-up look at the dyed moss. 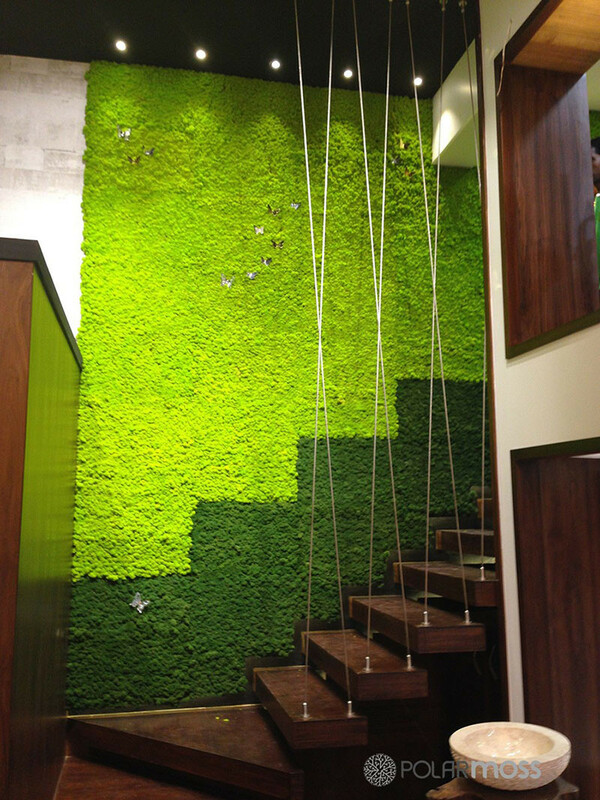 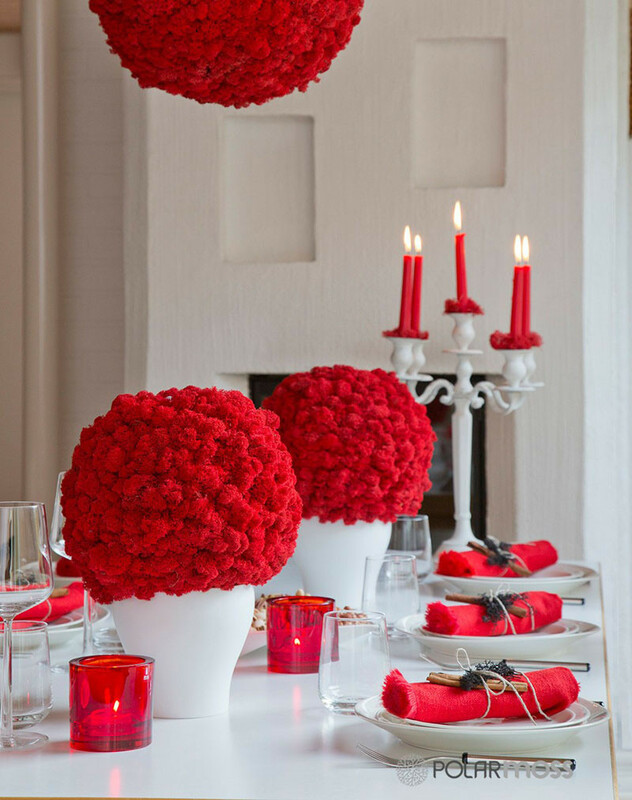 Another option is their ‘Sphere’, which can be hung to make an art installation or can be used for decoration. 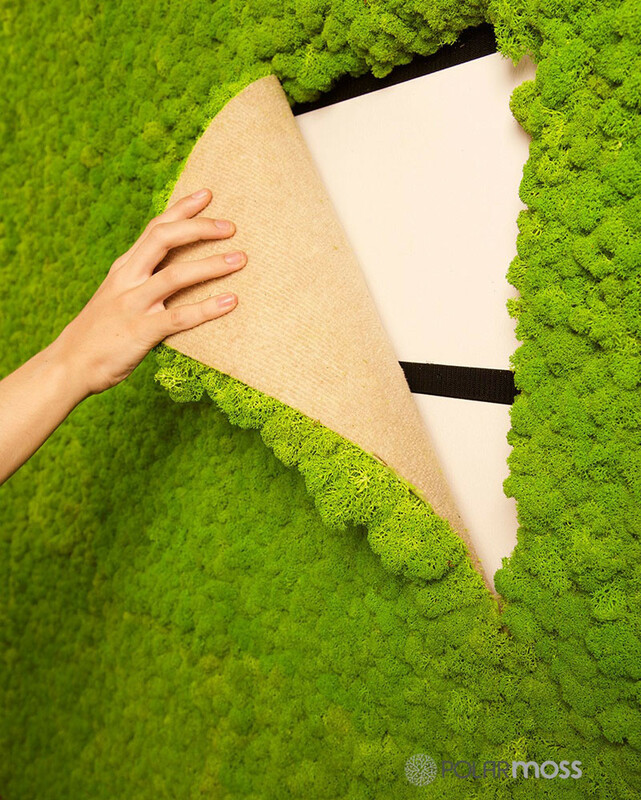 To make it easy to cover an entire wall, they’ve also designed a flexible material called ‘Flex Element’, that comes in sheets.